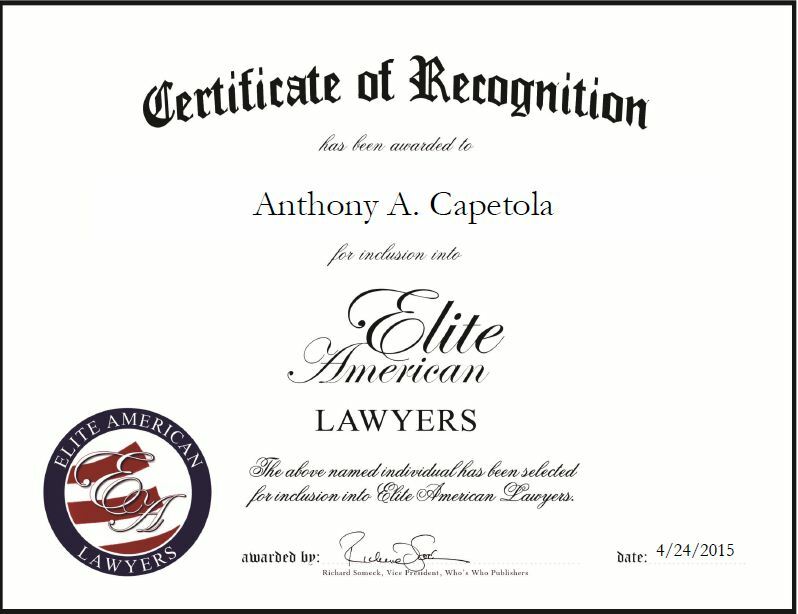 Williston Park, NY, April 24, 2015, Anthony A. Capetola, Attorney at the Law Offices of Anthony A. Capetola, has been recognized by Elite American Lawyers for dedication, achievement and leadership in matrimonial and family law. Mr. Capetola always knew that law was a profession he wanted to pursue. He passed up an engineering career and was going to be a professional football player until he was injured. Then, he immersed himself more into books and went on to attend law school. Mr. Capetola has been practicing law for 44 years, and has worked with clients across Long Island, as well as in parts of Brooklyn and Queens. Well versed in handling divorce, child support and custody cases, Ms. Capetola spends his days working with his clients, developing sound legal strategies, and trying cases. A hardworking attorney, Mr. Capetola earned a stellar reputation for his dedication and commitment to the field. 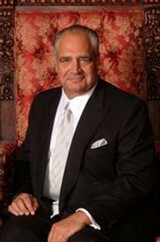 He was named to the Super Lawyers, Top Legal Eagles, and to Top Attorneys in New York Metro Area lists. Looking toward the future, he wants to keep the firm in its present position. It is the largest matrimonial firm in Nassau County, with 10 lawyers on staff and 14 support staff. This entry was posted in Family Law and tagged child support, custody, divorce, Long Island, matrimonial law, Super Lawyers. Bookmark the permalink.